Launching a capsule collection of a successful boutique FOR a national retailer requires utilizing the brand'S equity WHILE transforming it into a sellable STYLE. NotNeutral’s vibrant collection was translated for the national audience through soaps, candles and housewares. The purchase displays were redesigned, showcasing lifestyle photography and unique patterns. A handful of fresh products were also launched with the new line. I was responsible for rethinking the retail graphics for the pop up store, highlighting the brand message and strong palette within the Bed Bath & Beyond space. Part of the new design campaign for Bed Bath & Beyond involved creating a series of graphics for a candle and soap program. The loose theme of “nature scents” such as grass, wave, twig, bloom, cloud, and vine was echoed through the colorful, modern patterns on the candle packaging. 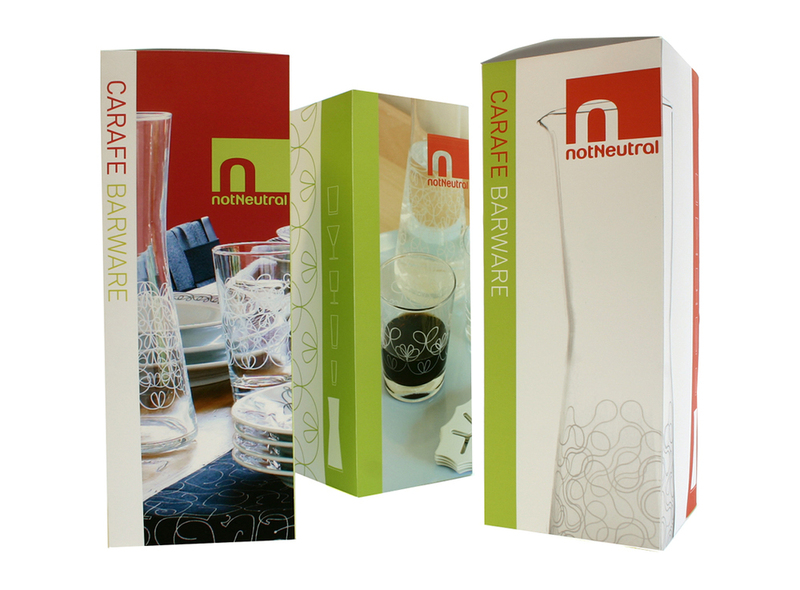 In addition to designing new products for the national chain, notNeutral was asked to come up with a system for packaging them. Using lifestyle photos of the products in conjunction with isolated profiles - while utilizing all four sides of the box to create alternate views - became the design strategy.